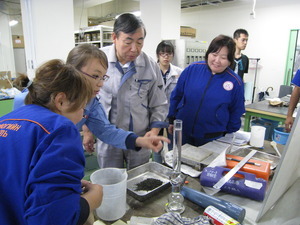 In this project, not only were Japanese experts dispatched to Mongolia, but teachers of IET were invited to Japan to learn about KOSEN education, facilities, systems, and school management. Participants in this first training session from September 7 to 22, 2014, were Ms. Davaasuren Uranchimeg (architecture), Ms. Tumur Bariisuren (construction), and Ms. Tsengelbaatar Otgontsetseg (interpreter). 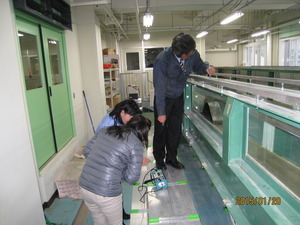 The group took part in a two-week-training-session at Tomakomai National College of Technology, Hokkaido. The teachers who took part in the training learned about the education systems and management methods of Japanese KOSEN as well as school facilities, and observed classes. 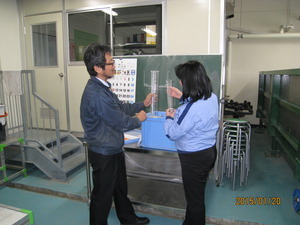 In particular, the facilities at Tomakomai College were used to provide them opportunities to conduct experiments. This enabled the trainees to obtain in-depth knowledge of teaching methods relevant to experimentation. 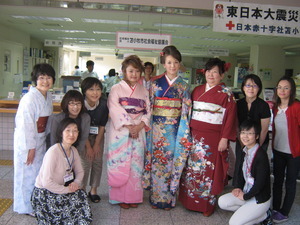 Furthermore, as the group had a desire to learn about Japanese culture and traditions, they visited Tomakomai Women's Center where they experienced to wear Japanese Kimono clothing. 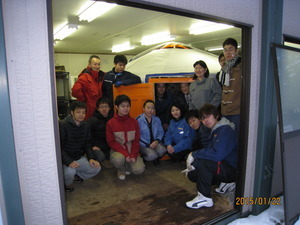 They also did home stay with a Japanese expert and his family. The expert was dispatched to IET in the previous year. Participants in the second training session from January 12 to 26, 2015, were Ms. Lkhaasuren Nergui (architecture / air and heat exchange), Ms. Tsedev Oyuntuya (mathematics), and Ms. Gunchinsuren Bayarjagal Gunchinsuren Bayara (Japanese language/ interpreter). 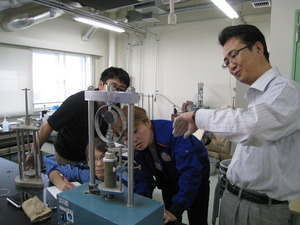 The group took part in training sessions at Tokyo Metropolitan College of Industrial Technology and Tomakomai National College of Technology, Hokkaido. 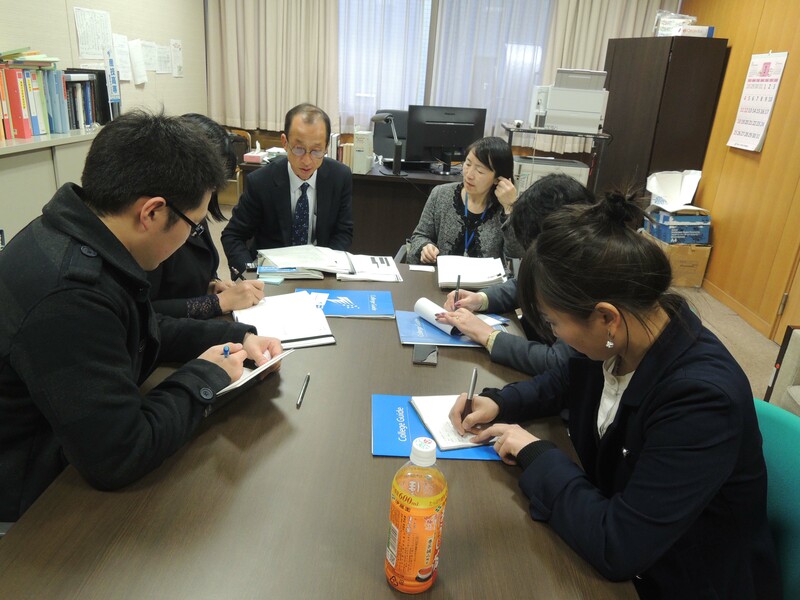 In this training visit, the teachers also learned about the education systems and management methods of Japanese KOSEN, as well as differences in the management systems between metropolitan and national KOSEN colleges. The group visited school facilities, attended lectures on the subjects of their own expertise, and observed classes including the one on career guidance. 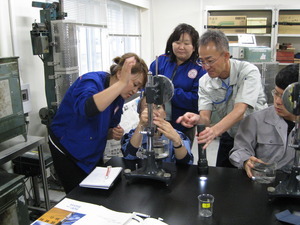 The facilities at Tomakomai College were used to provide multiple training sessions on conducting experiments. The group also took part in exchanges with the Japanese faculty members who had been dispatched to IET, and introduced Mongolian culture to the students of KOSEN colleges.